Victoria Rhodes, PA-C is the newest member of the Family Practice Specialists team, who has been working with Certified Dermatologist Andrew Racette, D.O. since mid-June 2014. A highly trained PA-C with in-depth experience in both primary care and surgery, Victoria received her B.S. in Applied Biology from the Georgia Institute of Technology, her A.B.S. in Primary Care/Physician Assistant from Cuyahoga Community College, and her Masters of Physician Assistant Studies from the University of Nebraska Medical Center, with a specialty in General Surgery. During 22 years in Ohio she was involved in a lot of complicated surgery and was in charge of the wound clinic. 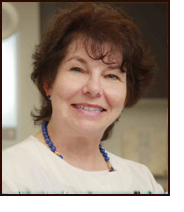 In 2008, she transitioned from general surgery to dermatology, where she was able to put her surgical experience to use in cryosurgery, excisions with complicated repairs, wide excisions for melanoma, in addition to debridements and wound care. She enjoys interacting with patients and being able to help them. She is always happy when conditions like skin cancer can be spotted and taken care of early. Having just arrived in Arizona in June, Victoria welcomed a third grandson in mid-July. She’s getting settled in and looks forward to getting involved with her church. A vegetarian who loves to cook and hasn’t met a vegetable she doesn’t like, she has a special fondness for southern fried okra. She also loves cookbooks, which she calls “idea books” because she rarely follows a recipe exactly as written. Victoria believes that you get what you say, and makes an effort to speak positively and make sure her words line up with positive outcomes.